Recent research warns a further cut off of 175,000 jobs from struggling UK high streets this year and the value of retail property will slump as the boom in online shopping and rise of giants such as Amazon continue to take their toll. According to findings published on an annual report from the real estate adviser Altus Group, over 23,000 shops are forecast to close in 2019. 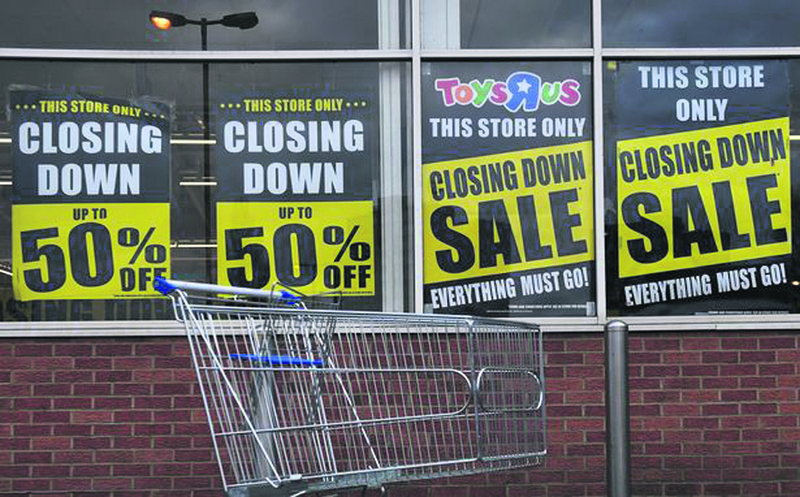 Figures suggest this year will be even worse than 2018, when a series of high-profile company failures and store-closure programmes claimed nearly 20,000 stores and 150,000 jobs. The seismic shift in shopping habits in the UK prompts authors to predict that the overall value of retail property will tumble by 15.9 per cent this year as shoppers are lured away from the high street by online alternatives. Many high streets are struggling with fewer customers and the shift to online shopping. The most recent official figures available showed the number of shops, pubs, and restaurants lying empty soared in the first six months of 2018. Last year was a difficult year for the retail sector, with a long list of high street failures, including House of Fraser, Evans Cycles, Maplin and Poundworld, while other chains including Mothercare and Carpetright, together closed hundreds of under-performing stores. Retailers planning to close stores this year include Marks & Spencers and Debenhams.